Battle of the Blogs - HMA Time! 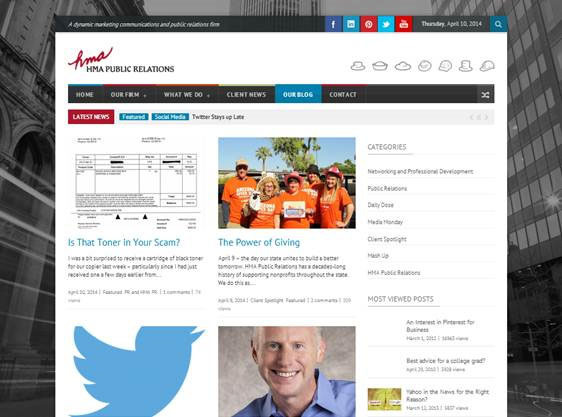 Welcome to HMA Time, the official blog of HMA Public Relations, which is updated regularly and easy-to-find right here on the HMA website each day. Multiple voices, one mission – public relations from our point of view. A unique knowledge of local and national media; insight in the evolving field of social media; up-to-date information on current public relations trends; creative and humorous commentary on everyday PR issues; and behind-the-scenes peeks into our corporate culture.